Serves 1 to 1-1/2 for small meal, 2 for snack/side salad. 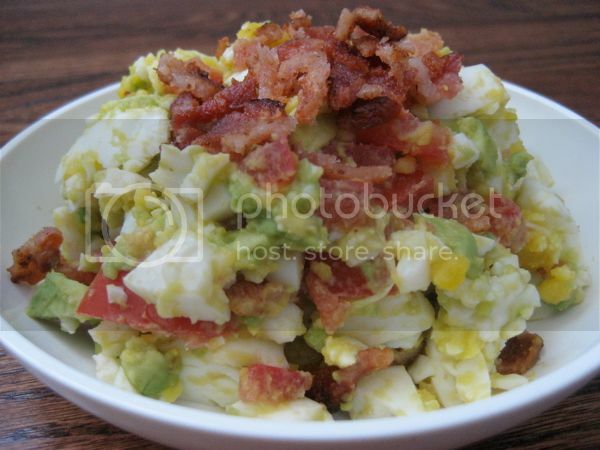 This was featured on Mark’s Daily Apple (the Primal Blueprint blog)—they added bacon and discussed the best ways to boil eggs. This sounds like an easy, amazing Summertime lunch. Thanks for sharing. You’re right; I remember, it was that obscenely hot summer of 2010 that I perfected this recipe.